By joining this programme, member libraries can provide all staff, students and alumni with the various formatted digital editions of every one of our titles completely free, and a discount on any paper copies purchased. The member library is also entitled to an effective discount of 20% on any purchase made by the university library itself. Most importantly, members of the programme will be supporting Open Access publishing and our endeavour to make high-quality academic monographs available to all to read for free. 1. Registered users of the library will be able to download for free the full range of formatted digital editions (pdf, epub, mobi, XML). Thus any student, faculty member or alumnus registered with the member library/university could freely download any digital edition of any title from our website. A full list of titles is available here. 2. 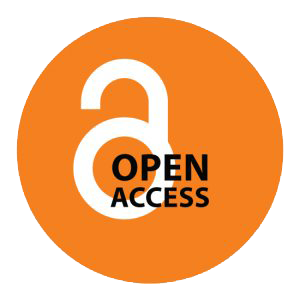 Support the publication of at least 20 new high quality Open Access research monographs, and support the development and release of open source software to facilitate Open Access publishing. 3. Be able to upload any digital edition of our titles to the library's own digital repository or ebook collection to keep permanently. Thus if you decided to terminate your membership you will maintain permanent and uninterrupted access to all titles accessible during your membership period. 4. Receive a discount of 20% on any printed editions of titles purchased by the library itself, and 30% for bulk orders over £150. 5. Receive a 20% discount on setup charges for all customised editions. 6. Provide a 15% discount to any registered member of the university library (staff/student/alumnus) on the sales of any printed edition of our titles, purchased from our website. 7. Receive regular usage statistics. 8. Download a complete set of MARC records for all OBP titles. Further details and the membership terms and conditions are available here. We would be delighted to hear from libraries considering joining the library membership programme or interested in further information. Please do not hesitate to contact us at libraries@openbookpublishers.com. If you are not a member of the programme but would like to know about the discounts we offer for printed editions, please visit the Information for Booksellers page.